Indie games tend to be labeled "retro" by people who don't appreciate the simpler, often pixel based aesthetics that those games often utilize. The reason for these art styles is usually not nostalgia, but rather a choice driven by artistic design or budget requirements. Occasionally, though, there's a game that proudly trumpets it's retro feel. 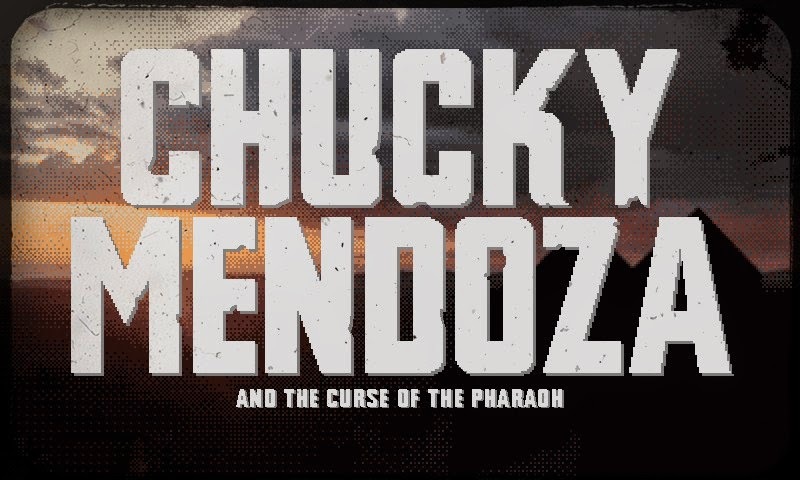 Chucky Mendoza and the Curse of the Pharaoh sells itself as a nostalgic throwback to a simpler, more difficult era, one that may not be appealing to everyone. Chucky Mendoza's feature list is a refutation of all the evolutions in game since its earliest days. It's a list of things the game doesn't feature, including "save points," "tutorials," "extras," and "achievements." 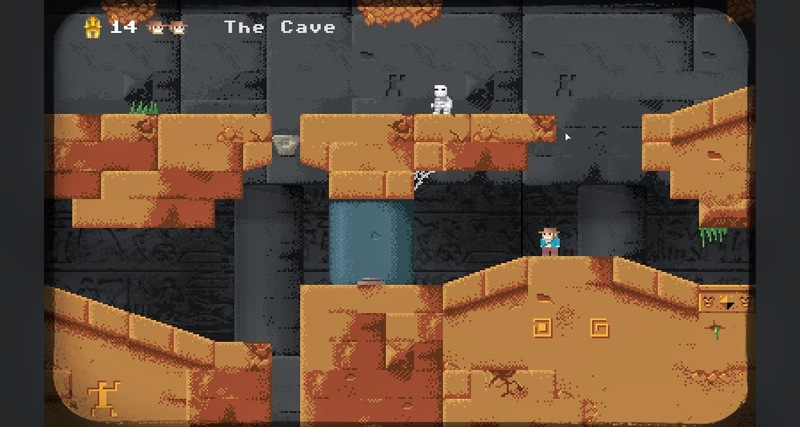 Inspired primarily by 8 bit platforming games from the Commodore 64, it evokes their feel by avoiding any modern game design, except for slightly better pixel graphics. The game also has no real story beyond the game's title and some room descriptions. 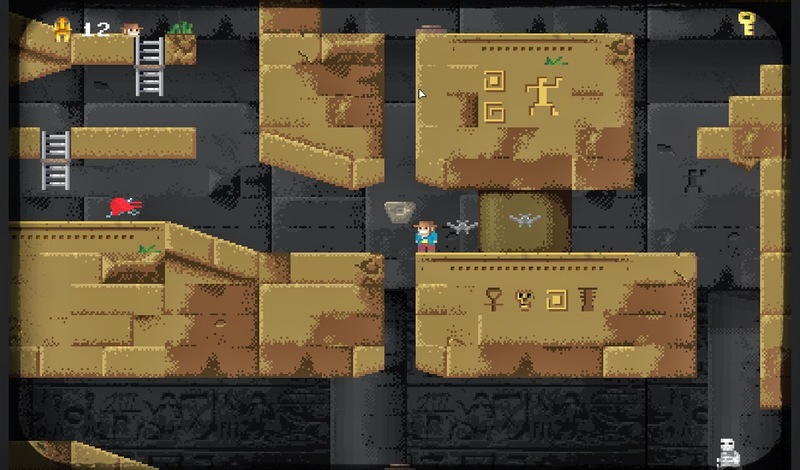 The protagonist is Chucky Mendoza, an Indiana Jones lookalike, who starts the game by descending into the Pharaoh's pyramid. 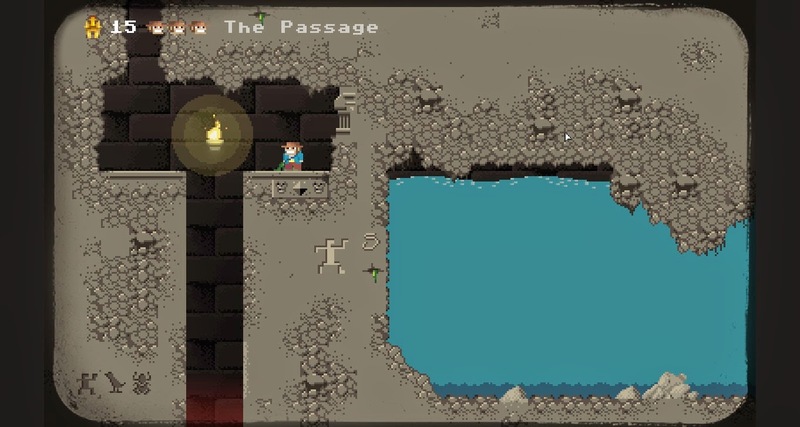 Using simple platforming controls, players must navigate a series of rooms searching for a set of treasures. Each room is connected into a maze-like whole, which must be navigated successfully on only three lives and without a map. While the developer advertises the game as "retro hard," it's actually less difficult than it seems. There may be no way to fight enemies, but foes follow pre-set patterns and don't actively chase. Most jumps are slightly forgiving, though the lack of controller support means that the jumping can feel somewhat imprecise. Even the traps come in only one variety, and give the player a few moments to get away. The limit of three lives is also not much of an issue. 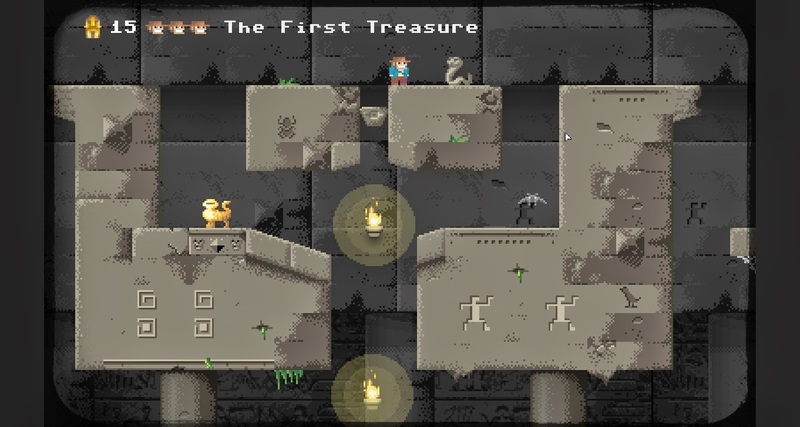 Each treasure collected restores a life, essentially giving the player 15 potential extra lives. The main difficulty then becomes balancing collecting treasures with saving them for later, since the maximum amount of lives never rises above 3. The other major challenge is learning and memorizing the layout of the rooms, turning the game primarily into a platforming maze. The graphic design of the game ranges from decent to oddly charming, like the stocky wandering mummies. A few of the character designs aren't especially clear, like the bugs that somewhat resemble four legged ducks, but overall it's a definite improvement over the game's 8 bit inspirations. The sound design is also decent, with a suitably adventurous title song and some nice atmospheric noises that fit the dank tomb environment. However, the game could definitely use some extra sound effects, especially some noises for the enemies, which remain oddly silent. As a modern game, Chucky Mendoza and the Curse of the Pharaoh Review is overshadowed by platformers with either more involved mechanics or more punishing difficulties. As a throwback to a simpler era, however, it's largely successful, reveling in perilous jumps, brain dead enemies, and simple goals. It's worth a try for a quick taste of the old days, and has potential to be even more if the developers decide to expand it. If they do, however, it might need a few more modern touches.